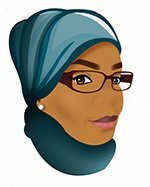 When it’s time for breakfast I mostly think eggs or pancakes, today it’s going to be pancake, but it’s not the usual one. 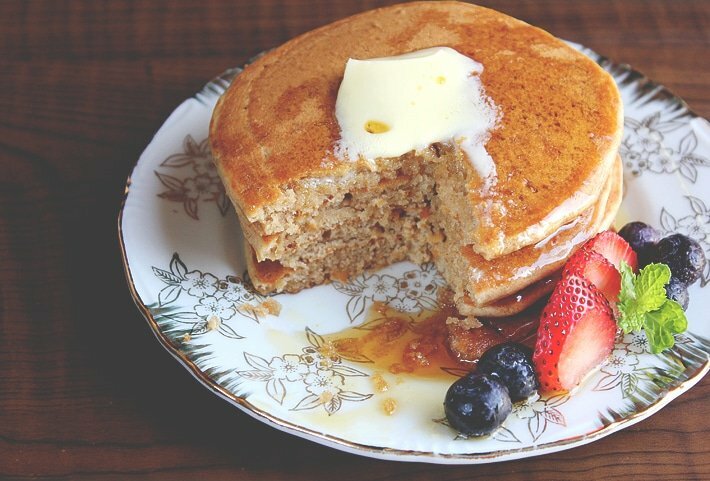 Gingerbread pancake flavored with cinnamon and ground ginger. 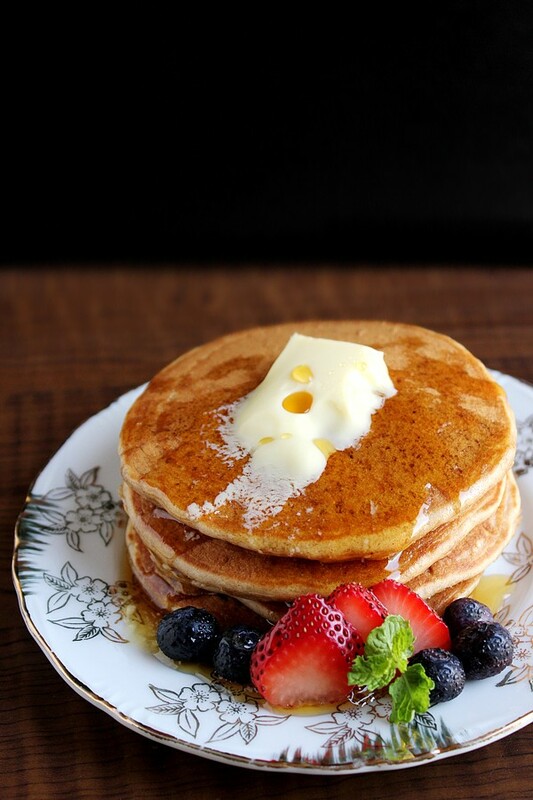 In my humble opinion, people love pancakes because not only it’s fluffy and light like a cake, but you can change its flavor by drizzling it with your favorite syrup, honey, chocolate sauce, or even serve it with fruits. Oh, and let’s not forget the butter. 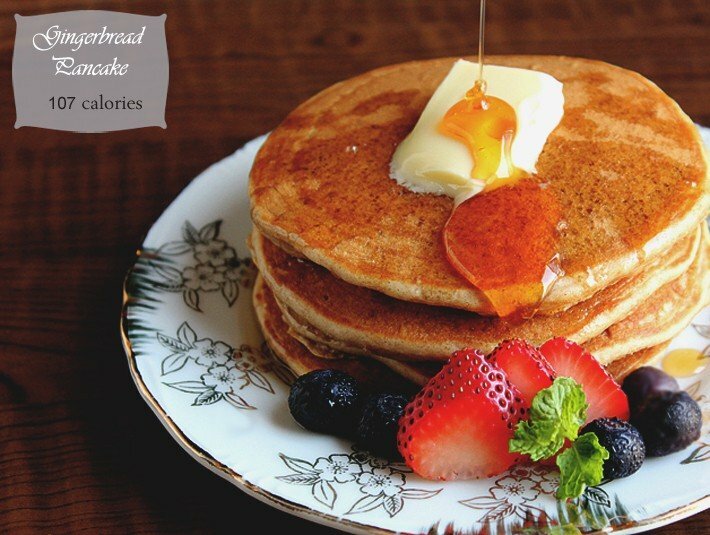 To be creative with pancakes, all you have to do is think of it as a cake, every flavor you can add to a cake, you can add the same flavor or even ingredients in pancake. 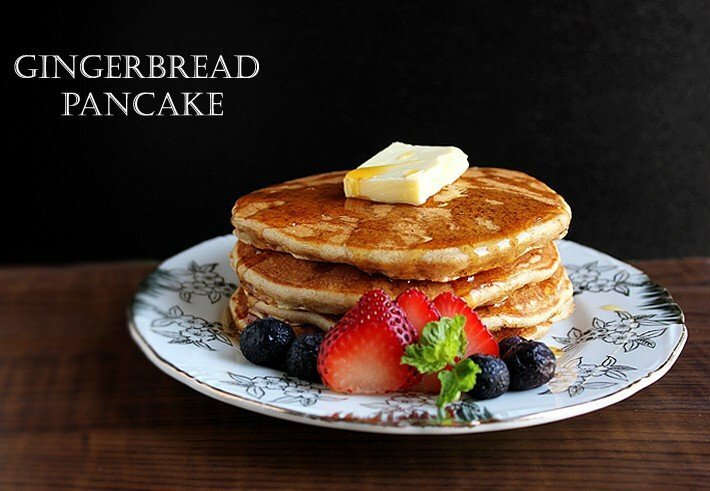 This Gingerbread pancake tastes like Gingerbread cookies. You have to be careful when making the pancake batter, do not to over mix it, otherwise you won’t get a fluffy and light pancake. Makes 8 pancakes. 107 calories per pancake. – In a bowl, mix all the dry ingredients. Keep aside. – In a different bowl, mix all the wet ingredients. – Pour the dry ingredients on the wet, and whisk gently. Do not over mix, and if there are few lumps do not worry about them. – Heat the pan (I used non-stick pan), add 1/4 cup from the batter in the pan, keep the heat medium low. 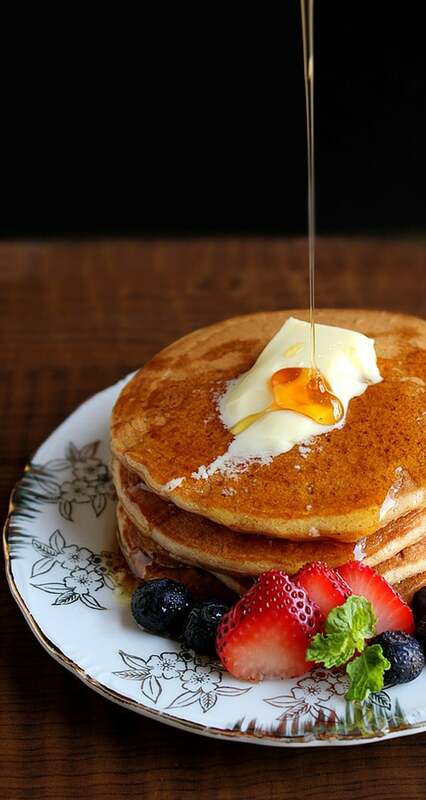 – When bubbles appear on the top of the pancake and the bottom is light brown, flip the pancake and cook on the other side for one or two minutes. Note: Calories calculated for this Gingerbread pancake do not include the fruit, butter, and honey shown in the pictures. They look irresistible! Great flavors. wow these pancakes look really fluffy and soft! 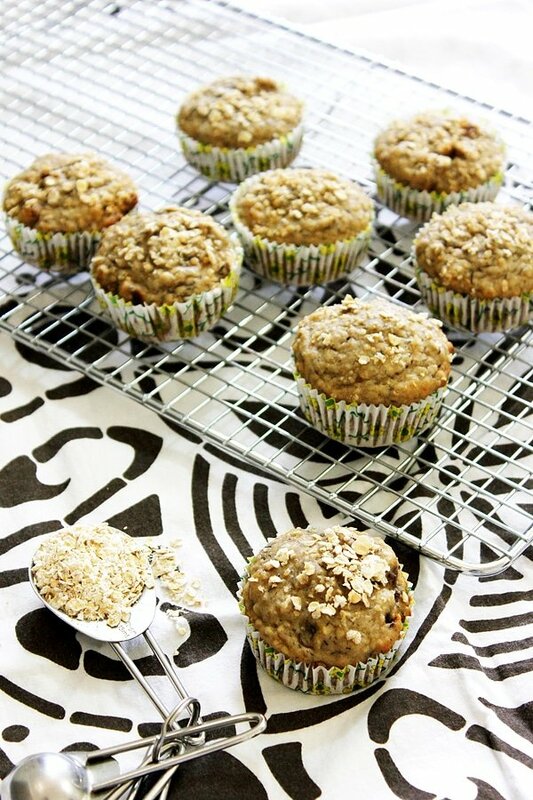 I love the warm spices like cinnamon and ginger in the baked goods…definitely will love these. 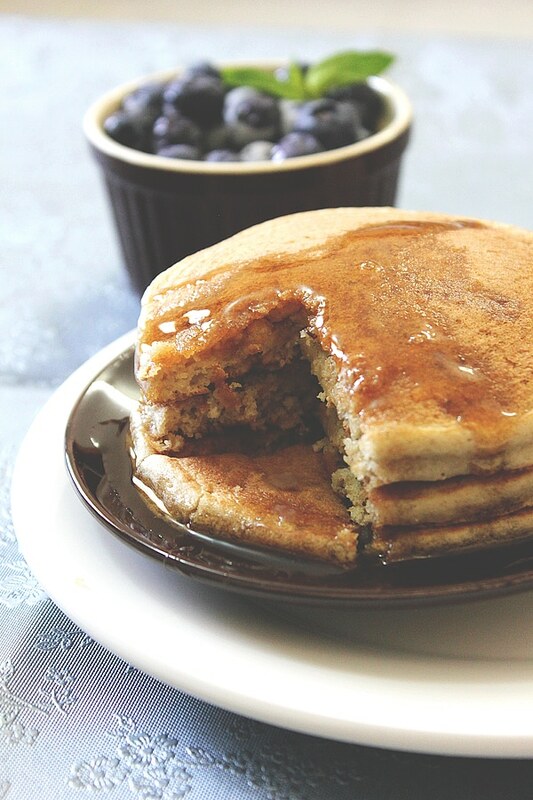 They were delicious, love the taste of cinnamon and ginger together in these pancakes. These look SO FABULOUS!!!! Quick question–do you grease the pan when you cook your pancakes? You have the perfectly even brown look to your pancakes that I want!! Hi Erika, thanks for your kind comment 🙂 .. I use non-stick pan, and never grease it. I found that doing so cook the pancake evenly and give it a good texture too. Oh yum! Love pancakes and this version looks fantastic. Love that pic of the syrup, beautiful! I haven’t tried gingerbread pancakes before, but being a huge fan of ginger in cooking, I will enjoy these pancakes very much! Your photos are sooo gorgeous!!!! Love your videos too! I love pancakes! You are so right that the flavor possibilities are rather endless. These look awesome. mmmm….yummy!! I love gingerbread men….I love pancakes….so I know I’m going to love these!! Thanks for sharing. This is really creative! !